We were born out of a love of fencing and international competition. We believe that interactions between American and international fencers, from youth to veterans, benefits both. We were founded by American families who experienced sending their children to international competitions and training camps in Europe. We thought "why not invite excellent European fencers to the USA to fence with our kids and adults?". The rest is history as they say. We invited fencers from many countries around the world to join our camps in Fairfax, right outside Washington, D.C. Our guests included members of national teams from multiple countries who went on to represent their countries in the Olympics or in world championships. Our distinguished guests came from Italy, Estonia, Finland, Germany, Hungary, Colombia, Venezuela, Cuba, Puerto Rico, and Egypt. The guests are placed either with host families or at one of the excellent hotels in the area. Transportation t and from our camps is fully arranged by the IFC. We also organized trips to American fencers to participate in camps in Germany and Hungary. This helped our youth fencers improve their skills and achieve better results in National and international competitions. 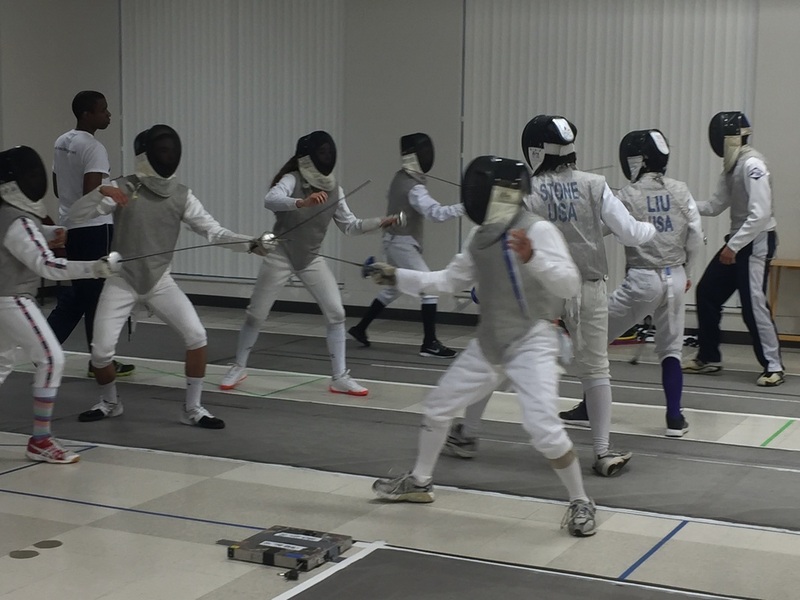 A peek into our friendly partner club, Fencing Sports Academy, located in historical Fairfax City, in the Washington, DC area. Interested in fencing around the world? Prospective fencers, please submit a simple form about yourself and we will work to place you in the destination you desire. Help others achieve their dream of fencing around the world! Interested in donating or becoming a host for a fencer in your area? Contact us today!